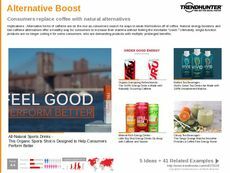 Find Better Ideas, Faster ® with a custom energy food trend report, our PRO Dashboard and 80+ categories of premium trend reports. 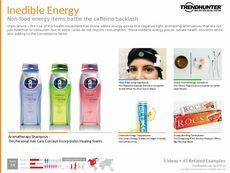 The Energy Food Trend Report examines the demand by consumers for energy-boosting products that stray away from the more typical drink-based fare. 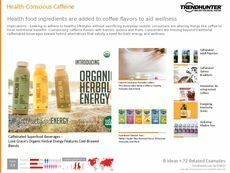 Although often these edible food products may contain stimulating caffeine-based ingredients, other energy foods using high-energy and all natural ingredients are also examined in-depth as well. 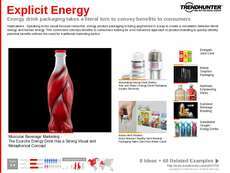 The motivation behind consumer demand for energy-based food products is also explored to help readers better leverage and place themselves within the market. 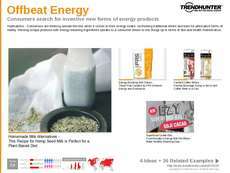 This report is highly beneficial for food product producers and retailers seeking to stay informed on the latest developments in the energy food industry. 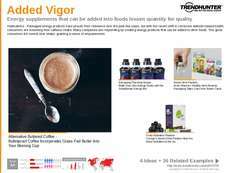 Those seeking recipe ideas, marketing inspiration and wondering how to best convey an energetic message to consumers will want to educate themselves with this report's findings. 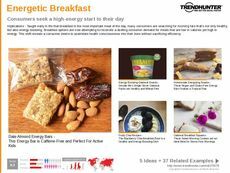 The Energy Food Trend Report is a crash course in the latest high energy edibles currently available on the market, and gives readers all the tools the need to grab hold and leverage market momentum for themselves.